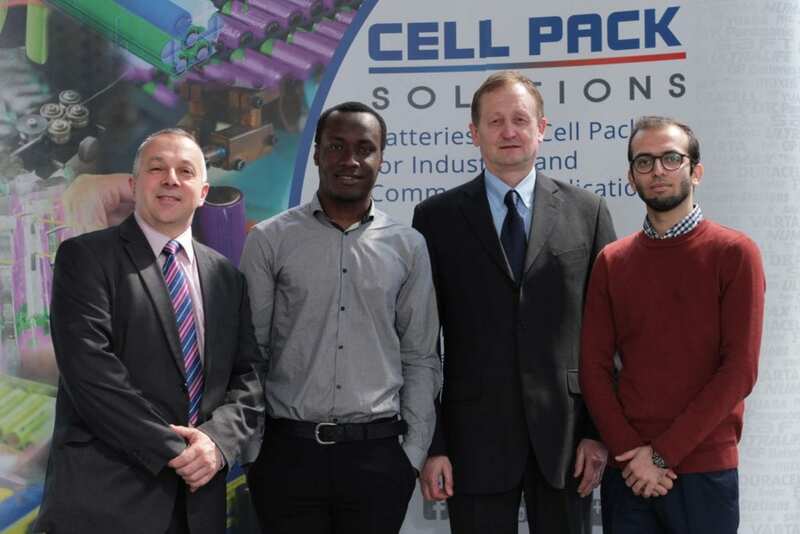 Cell Pack provided a week long work experience related project for two Students from Durham University, seen here with Eddie and Paul. Students Nwaneto Udoka Chile and Bilal Muhammad completed a study on welding operations with a view to speeding up and automating the process. They looked at all the aspects of Resistance welding in some depth and then as part of the project had to present their findings and solutions in front of the rest of their peer group and lecturers. This is the second year we have been able to offer this experience to Durham Students .